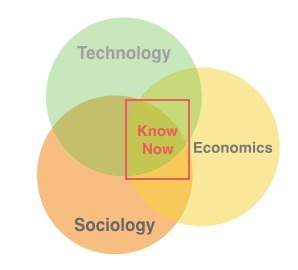 The reason KnowNow Cities are good is because we are technology agnostic, are independent and have the experience and background to understand what is a very complex subject. What this means for a client is trusted advice, that is backed up by the teams in the field experience. The many facets of a smart city are in themselves complex enough in their own rights. Understanding though about smart grids is not the same as understanding the needs of a smart transport operation. Yet both are part of a smart city agenda. Ensuring that your smart city is secure, interoperable and outcomes centric will require a number of different skills, not all technology centric. For example, how does technology interact with the urban fabric or even the street furniture without it being vandalised or sabotaged; yet still be useful and meet expectations from both the city managers and citizens. KnowNow Cities brings together knowledge of a smart city from more than just the technology perspective. KnowNow Cities also takes into account the Economic and Social Impacts of a Smart City too. Overlay this with an urban design and a very powerful and sustainable smart city is born. Outlined below is KnowNow Cities short explanations of the various smart city domains and how they interact and relate to each other. A smart grid will enable a community to not only generate energy locally (e.g. via Photovoltaic – PV) but store and manage a communities overall energy needs too. Smart Grids require each module (storage – generation- consumption) to be interoperable. Smart Grids need to be secure from hackers. Smart Grids can be deployed at the building, campus or district level. KnowNow Cities can help ensure the Smart Grid is secure, fit for purpose and has a plan to handle future demands. Smart Grids can support both Smart Transport (charging stations) and Healthcare (smart homes). Smart transport for a smart city is really about mobility. Moving goods and services from A to B. Smart Mobility will be changing as new technology evolves (e.g. autonomous vehicles). The other element of the smart mobility future agenda is the personalised journey. Your route be it by public or private means will be prescribed. How to manage this and ensure consumer choice, privacy, security and still maximise returns and keep a city moving is where KnowNow Cities can help. Smart Mobility interacts with Smart Grids and supports Smart Health. As humans become ever more connected (wearables) and our homes can start informing loved ones that their relative is OK; plus the use of AI tools to help diagnose disease, smart healthcare in some respects is here already. Where KnowNow Cities can help is with solving the technology puzzles when connecting 100’s or 1000’s of homes and patients to a smart health service(s). Such as: How to make it citizen centric respecting privacy, secure yet interoperable and still provide the information and answers the users expect. Smart Health interacts with Smart Grid (using same sensors & data infrastructure) and Smart Mobility (aid to healthy living – walking). If you would like to know more about the services KnowNow Cities provides then use the contact form below.